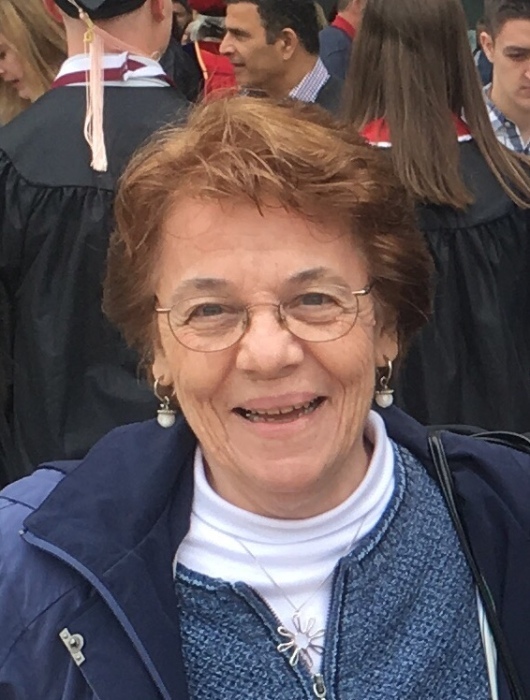 Virginia M (Laborde) Gennette of Newton Centre formerly of Guilford, CT passed away suddenly Apr 1, 2019. Virginia was the beloved wife of the late Gabriel L. Gennette, the loving mother of Deborah Ethier and her husband Ray of Newton and Mark Gennette of Branford, CT and dear grandmother of Wade Gennette, Makenzi Gennette and Benjamin Ethier. Sister of David Laborde of No. Haven CT, Linda Laborde of Rockland and the late Justin and John Laborde. She is also survived by her sisters in law Geraldine and Rose Laborde. Her funeral will be from the Eaton & Mackay Funeral Home 465 Centre St Newton Corner on Tues Apr 9 at 9:30 AM followed by her Mass of Christian Burial in Sacred Heart Church, Newton Centre at 10:30 AM. Relatives and friends are kindly invited. Visiting hours Mon 4-7 PM. Interment will be private. In lieu of flowers a donation in Virginia’s name to Shriners Hospitals for Children, c/o Development Office 51 Blossom St. Boston, MA 02114 or The Guild of St. Francis, c/o Sacred Heart Parish, 1321 Centre St. Newton MA 02459 would be appreciated.